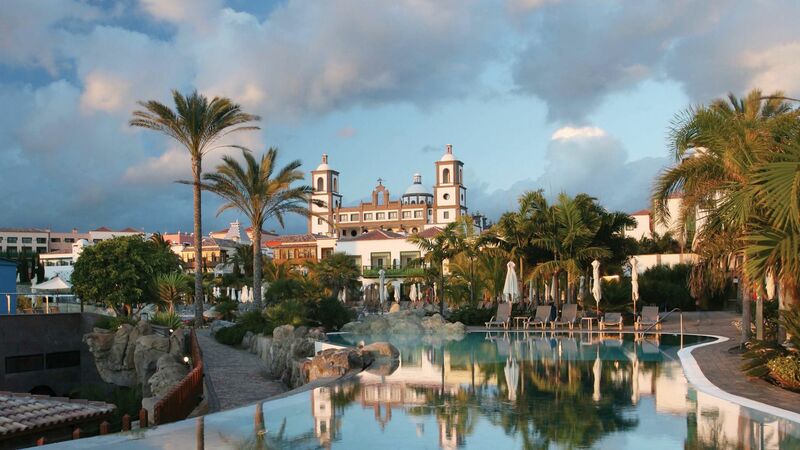 Holidays in Gran Canaria take you to one of the Canary Islands’ largest islands. It’s increasingly popular with British holidaymakers, bringing you large resorts which date back to the 19th Century when Queen Victoria visited. Here you’ll find a wide selection of restaurants, huge sweeping bays, beaches, and activities to suit everyone. Families will love mountain biking, water parks, and even camel rides, while couples can explore the history and culture of the towns, visit the spas and enjoy the island’s many bars. 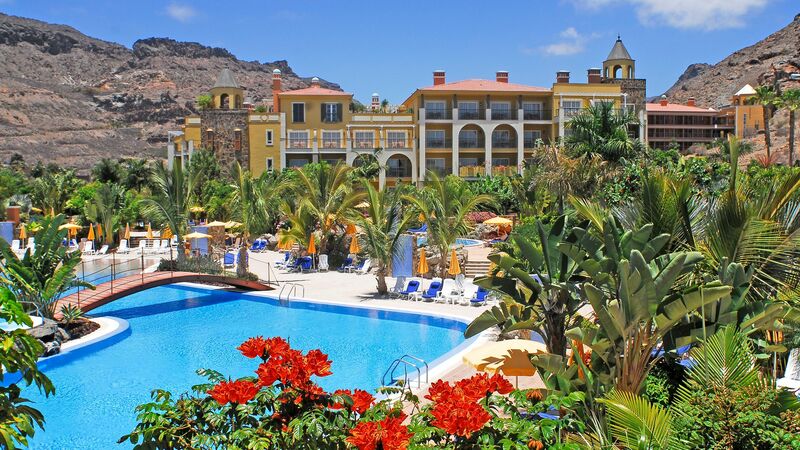 Gran Canaria offers a diverse selection of resorts to choose from. Maspalomas is home to sweeping sand dunes which stretch down into the ocean. For upmarket shops, restaurants and hotels, choose Playa Meloneras, while Puerto Mogan’s marina offers a taste of luxury. 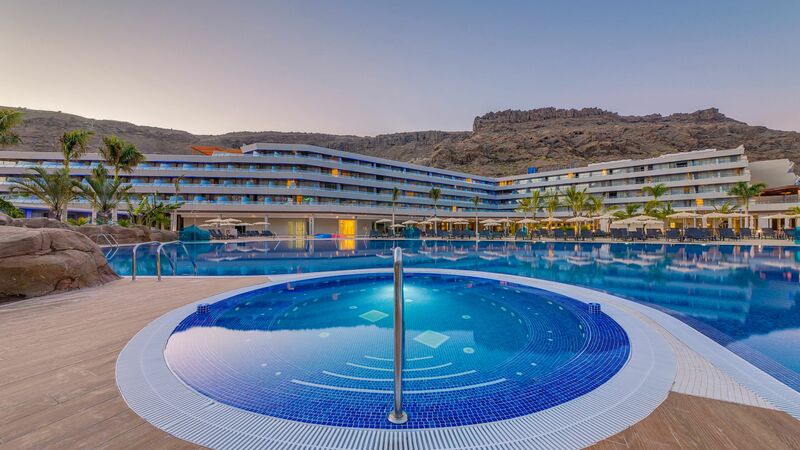 Luxury holidays in Gran Canaria centre around its wonderful beaches. Choose from large golden stretches sheltered from the winds by craggy cliffs, or little coves where you will find local fish restaurants and a chance to try some watersports. Playa Meloneras is home to luxury shops where you can pick up boutique and designer items, perfumes, clothing and accessories, while golf lovers will find courses throughout the island. There’s something for foodies too, with lots of fresh, homemade tapas dishes. At Sovereign we’ll help you get the most from your holiday. We understand just how important the art of holiday making is. Speak to one of our expert Trusted Advisers who will put together an itinerary just for you, and choose the ideal hotel from our carefully selected collection. The beach towns and waterparks of Maspalomas bump up against the southerly Maspalomas Dunes – a soaring national park with a 19th-century lighthouse and wildlife oasis. Playa Meloneras settles by a sandy beach just west of the Maspalomas Dunes. The town rolls out south – expect high-end fashion and perfume shops, plus a casino. The whitewashed houses and bridge-bedecked canals of south-westerly Puerto Mogan dip into a river valley that leads to a sandy beach and smart marina. 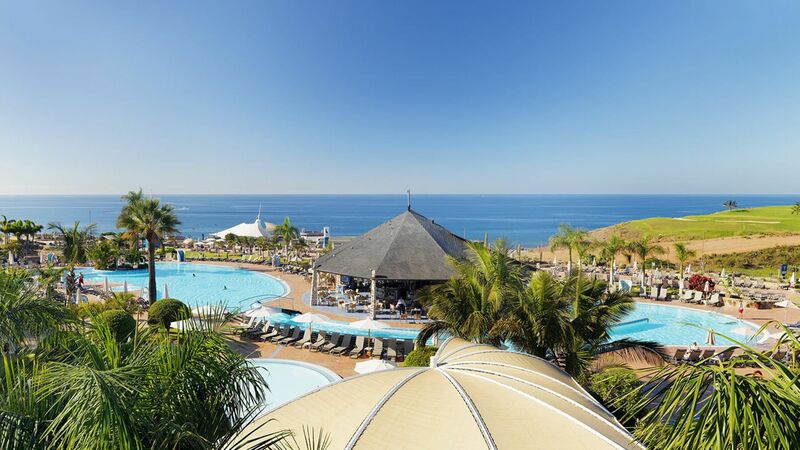 The third largest of Spain's Canary Islands, family holidays in Gran Canaria are perfect for a relaxed break as well as providing plenty of activities and fun in the sun. Enjoy the busy streets of the towns along with family friendly restaurants, beautiful beaches and plenty of countryside just waiting to be explored. Four hundred hectares of Sahara-soft sand sit in the triangle between Playa del Ingles, Maspalomas and Meloneras, whipped into wave-like dunes by the wind. It's a protected area – camels are the transport mode of choice – so it keeps its middle-of-the-desert feel. There are even miniature oases. Palm groves decorate the sands and La Charca lagoon is a stopover for migrating sandpipers and herons. Maspalomas Lighthouse marks the point where the dunes roll to a stop at the lively promenade and beach in Meloneras. Walking trails criss-cross the mountains and valleys in northern Gran Canaria. Vineyards cling to the sunny slopes, too, so plan your route to take in a handful of wineries, where you can sample the local grapes. The Bandama Caldera makes a great day hike. Climb up to the viewpoint for panoramas over the sunken caldera and coastline. Then reward yourself with a trip to the 300-year-old Bodega Hoyos de Bandama that’s just downhill. Book in advance for a full vineyard tour, or just swing by for a glass of dry white. The capital of Gran Canaria, Las Palmas, is up in the north-east of the island – but it’s still less than an hour's drive away from the beach towns in the south. Spend a morning pottering around Vegueta, the UNESCO-listed old quarter. Its cobbled streets are home to a 16th-century cathedral and a handful of museums, including the regal governor’s house called Casa de Colon. The Atlantic Centre of Modern Art (CAAM) is another must-see. The exhibitions might be contemporary, but the building it’s housed in is an 18th-century house with elaborate façades. Fans of Spanish cuisine will love Gran Canaria, as plenty of the mainland classics are big on the islands, too – paella, tapas and seafood are all big news. There are a few touches of Latin American and African cuisine, with a love for spicy sauces coming through. There’s a bigger emphasis on delicious flavours and filling meals than refinement and presentation, which is all part of its charm. Try Canaries classic papas arrugadas con salsa mojo, or spicy Canarian potatoes. Flight time from the UK to Gran Canaria is approximately 4 hours 15 minutes. Summers are long, hot and dry in Gran Canaria, keeping at a steady mid-20s and climbing beyond 30°C in July and August. 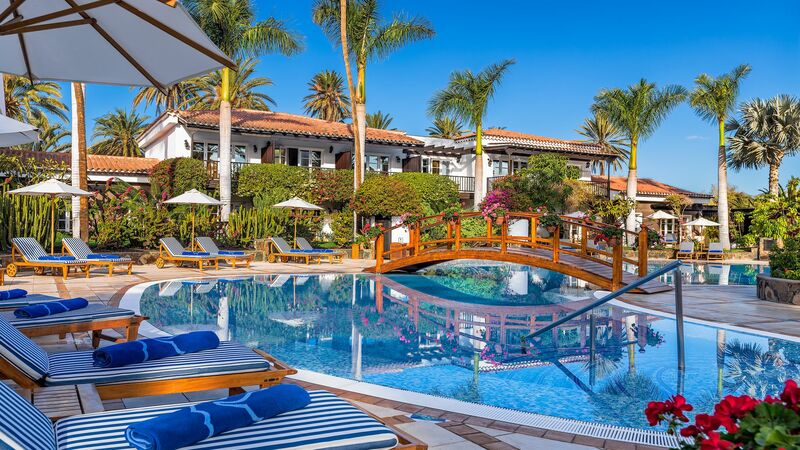 The Canaries are a good destination for winter sun, too – even winter and the shoulder seasons stay warm and sunny, with averages hovering around 18°C. Currently visas are not required for UK citizens travelling to Spain. Restaurant bills include a service charge by law in Spain, so whether you choose to tip further is up to you. If you enjoyed the meal and service, it is customary to leave 5-10%. Hotel porters and maids will appreciate a small tip, and while taxi drivers don’t require a tip, it’s common to round up the fare. The official language of Spain is Spanish. English is widely spoken too, so getting by is easy. Can I travel to the other Canary Islands from Gran Canaria? The Gran Canaria to Tenerife ferry journey takes 80 minutes to connect the two capital cities, so a day trip of exploring is easily done. For a longer stay on multiple islands, why not visit our island hopping page for inspiration. For spectacular scenery, I'd recommend the Parque Natural Tamadaba on the north-west coast - the dark, dramatic cliffs here are a must-see.